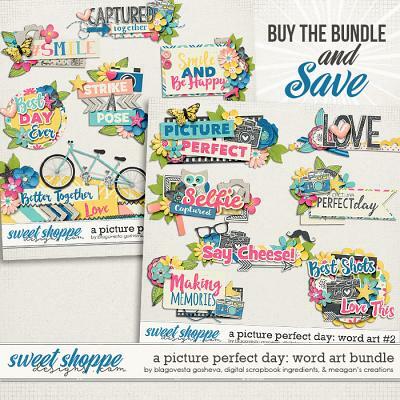 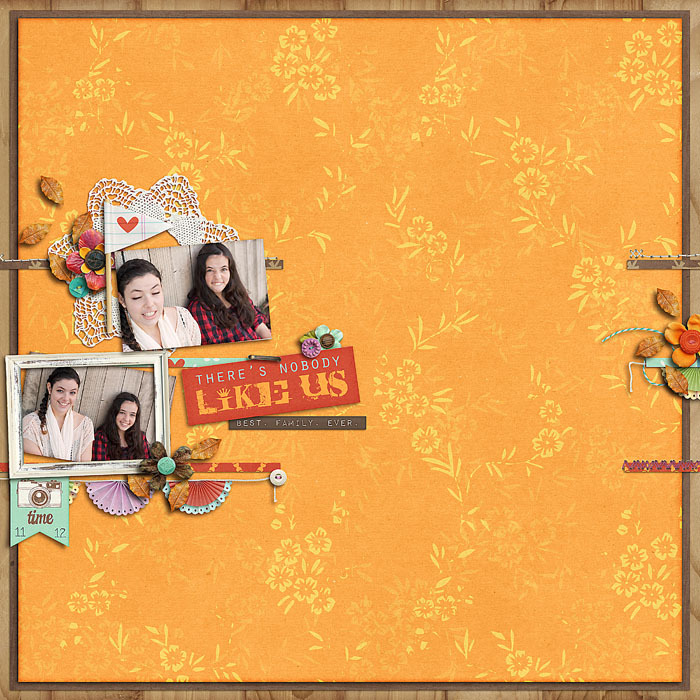 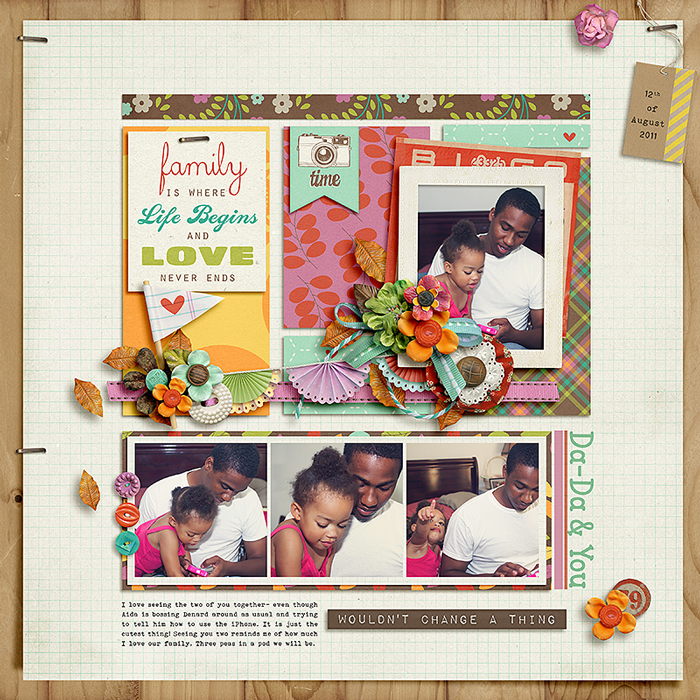 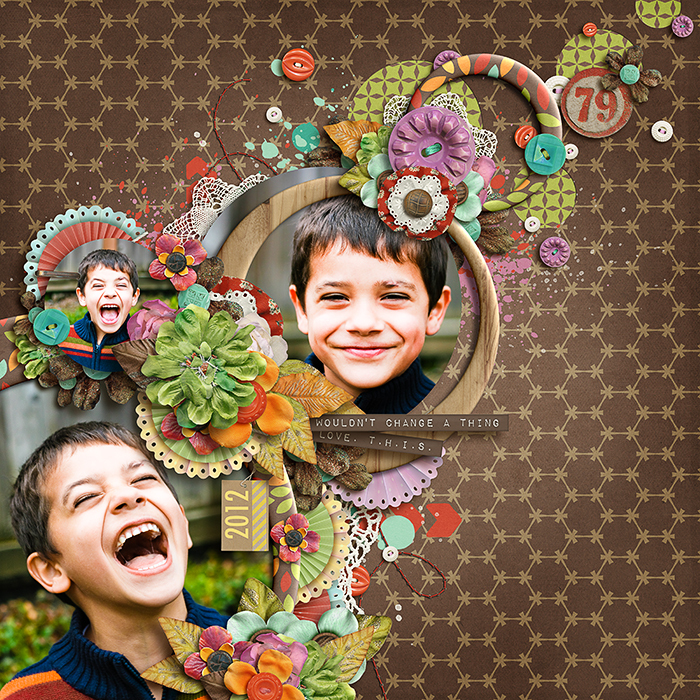 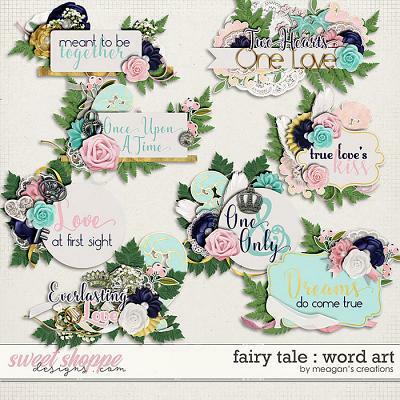 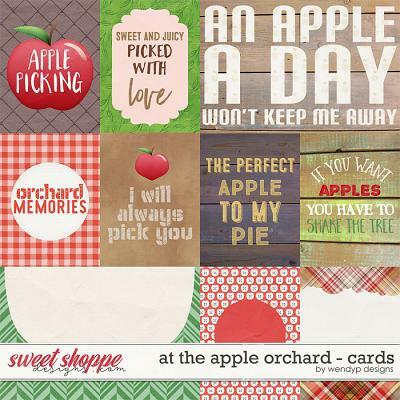 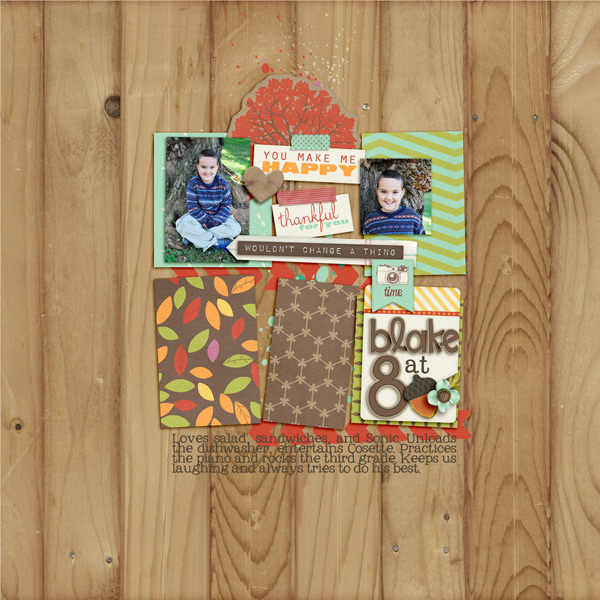 A digital scrapbooking kit by Erica Zane, A Happy Family is perfect for family & friends time, Thanksgiving, Autumn and so much more! 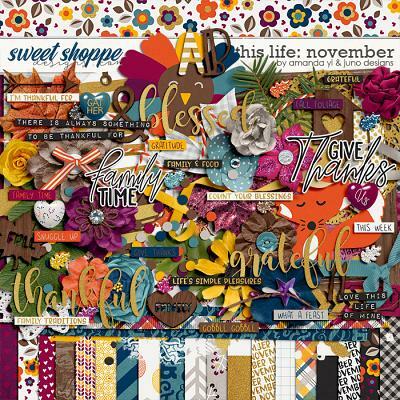 Packed with 19 digital scrapbook papers, more than 70 digital scrapbook elements and a digital scrapbook alphabet (saved as individual .png files), this kit is full of fabulous fall colors but is super versatile. 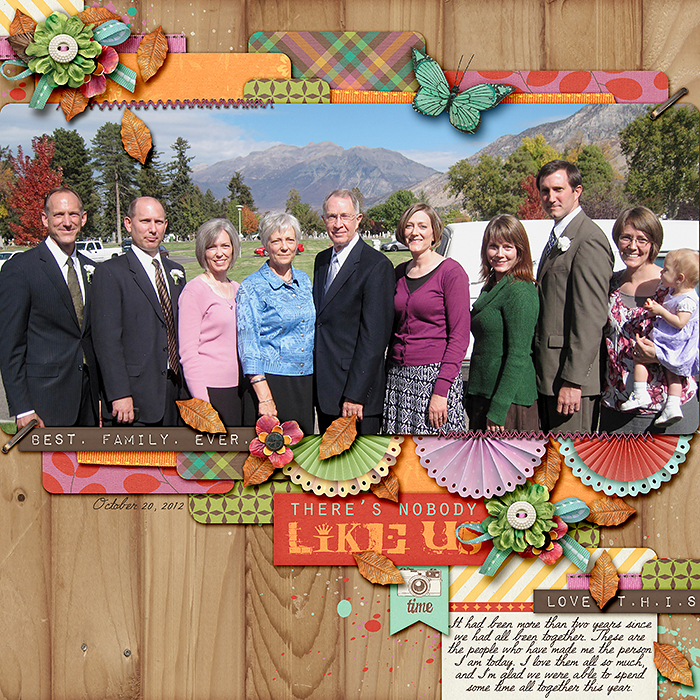 The elements include: 19 word art pieces, 8 flowers, 4 frames, 4 buttons, 4 sets of stitches, 2 flags, 2 tags, 2 leaves, 2 brads, 2 journals tags, 2 owls, 2 paint spills, 2 pieces of tape, butterfly, banner, card, acorn, heart, chevron/arrows, doily, bingo card, bingo chip, border, tree (2 colors), bow, piece of lace, paper strip, string and a staple.